The firm of Regan McEntee & Partners has acted for Public Authorities since 1989 and has a dedicated Public Authorities Department headed by its Senior Partner, Rory McEntee. In that time, we have advised and provided the full complement of legal services to various local authorities and other Public Authorities. Our involvement in numerous groundbreaking legal cases has meant that we are regularly consulted on new legal developments and we often provide opinions on the strategies to be employed in applying new legislation. Our highly skilled team is headed by Rory McEntee, assisted by Seán Ryan, David McEntee, Mary McSweeney and Miriam Regan amongst others. Our knowledge in Local Authority, Environmental, Planning and Regulatory matters means that we can quickly advise our clients on issues that might arise with regard to proposed Developments or pending Prosecutions, Injunctions or other Litigation. With European Legislation and Planning, Development and Environment regulations increasingly influencing our activities it is becoming more and more important to obtain legal advice prior to carrying out any development. Our expertise allows us to expand upon reports prepared by Environmental Consultants and to advise on possible legal solutions. While we are the Enforcement Law Agents for a number of Local Authorities, we are in a position to defend actions taken by Local or Regulatory Authorities for whom we do not act. 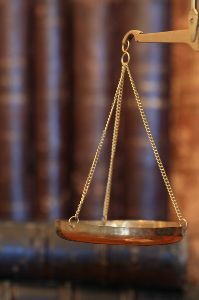 Our experience in prosecuting these cases on behalf of our clients is invaluable with regard to defending such actions. In most instances our focus is upon resolving issues and our Local Authority knowledge means that we can quickly advise on and bring most issues to a speedy resolution without the need for protracted Litigation. Our knowledge and experience with Enforcement Notices, Warning Letters, Waste Management, Water Pollution, Litter Pollution, Dog Control, Food Safety and Pre-School Services prosecutions is second to none and our many years of prosecuting such matters has allowed us to build up a database of precedents that can be quickly drawn upon when needed. We have carried out the legal services associated with major road projects such as the M3, M2/N2, R158, R154 and many more. In that capacity we have dealt with all Conveyancing, Arbitration and litigation works associated with these large scale infrastructural projects. Our Planning experience allowed us to advise on all relevant project issues from project planning, public consultation right through to registration.